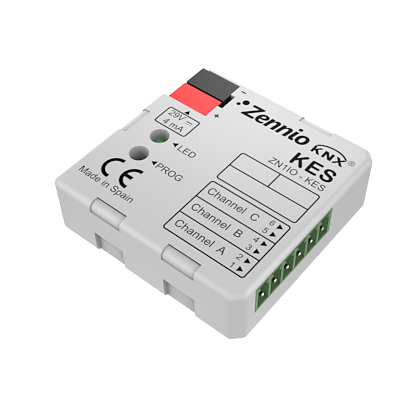 KES is Zennio’s contribution to reducing energy consumption. It allows the measurement of instantaneous electric power and the energy consumed by up to three different monophase circuits or a single triphase circuit. In addition, KES provides information about the corresponding CO2 emissions and it estimates the cost.